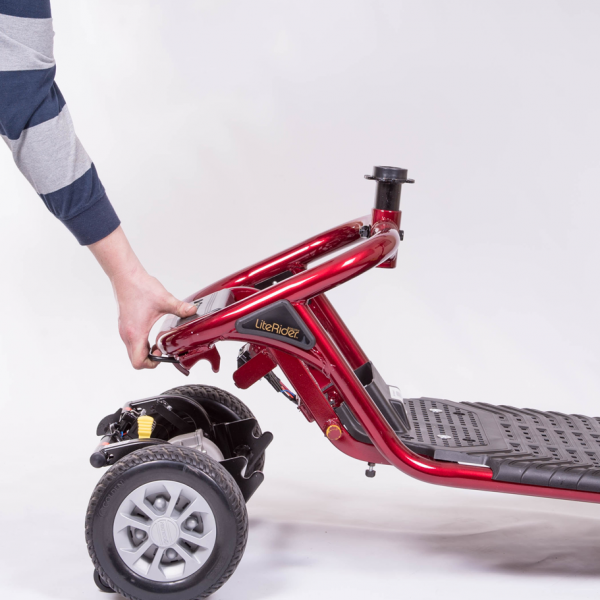 The LiteRider scooter from Golden features better range, a delta tiller standard, more attractive styling and more vibrant colors. 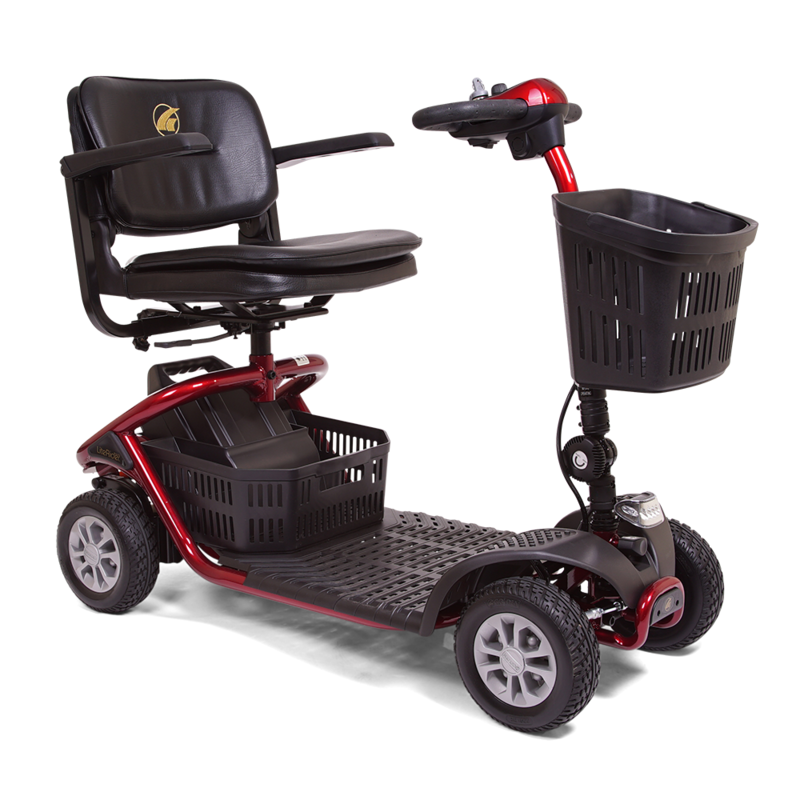 A modern tubular frame design supports its 300 lb. 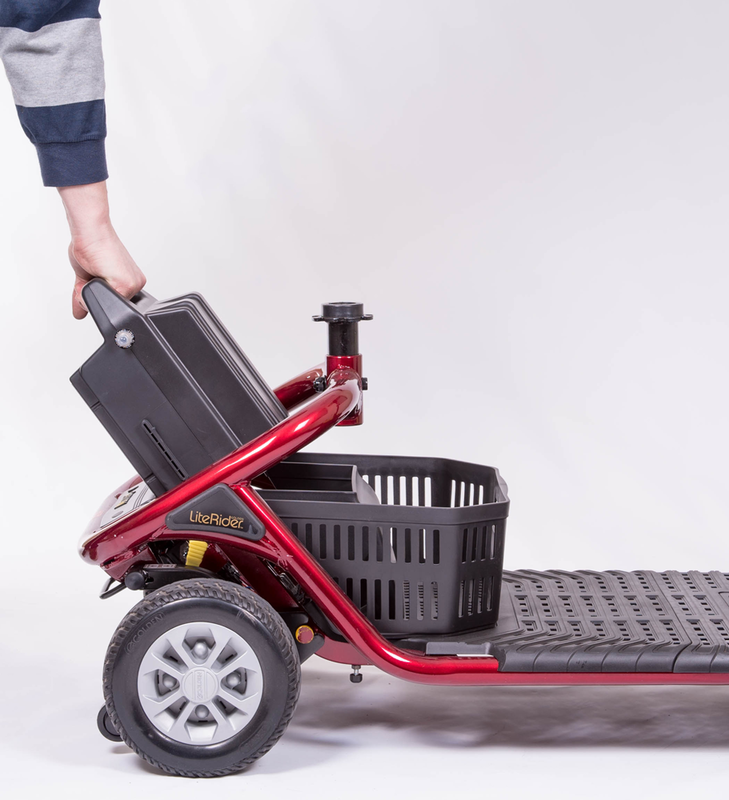 weight capacity and its completely wireless disassembly makes transporting a breeze. 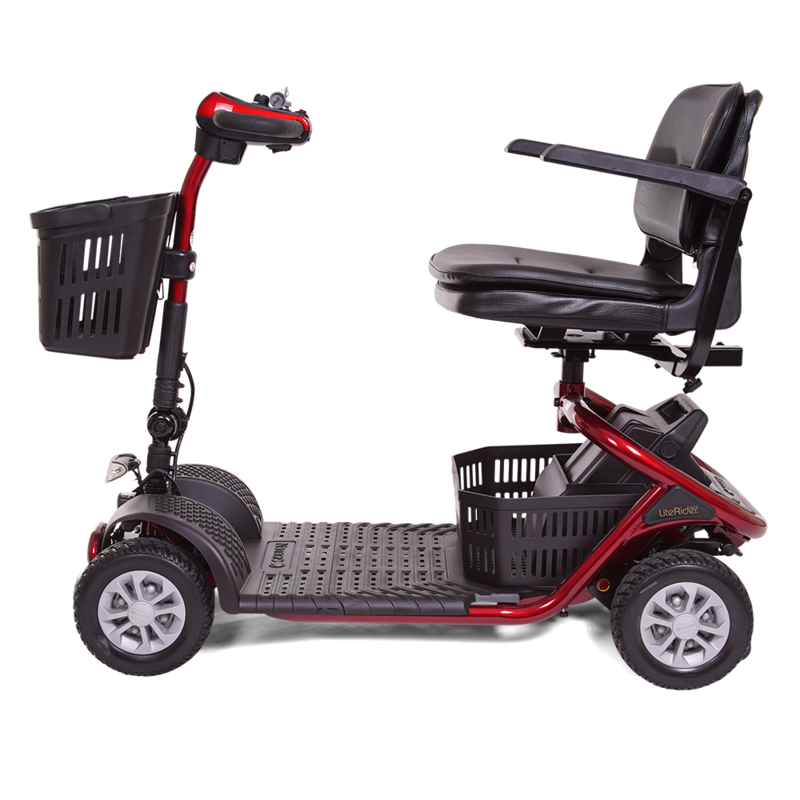 The LiteRider’s black low-profile tires are mounted on newly redesigned modern grey wheels. 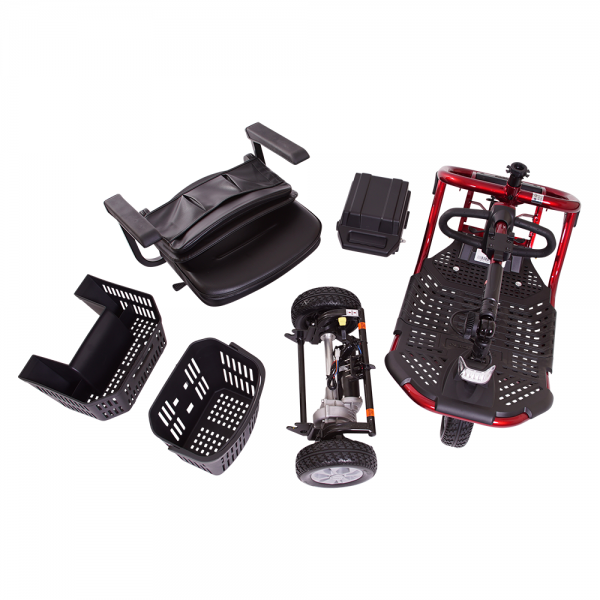 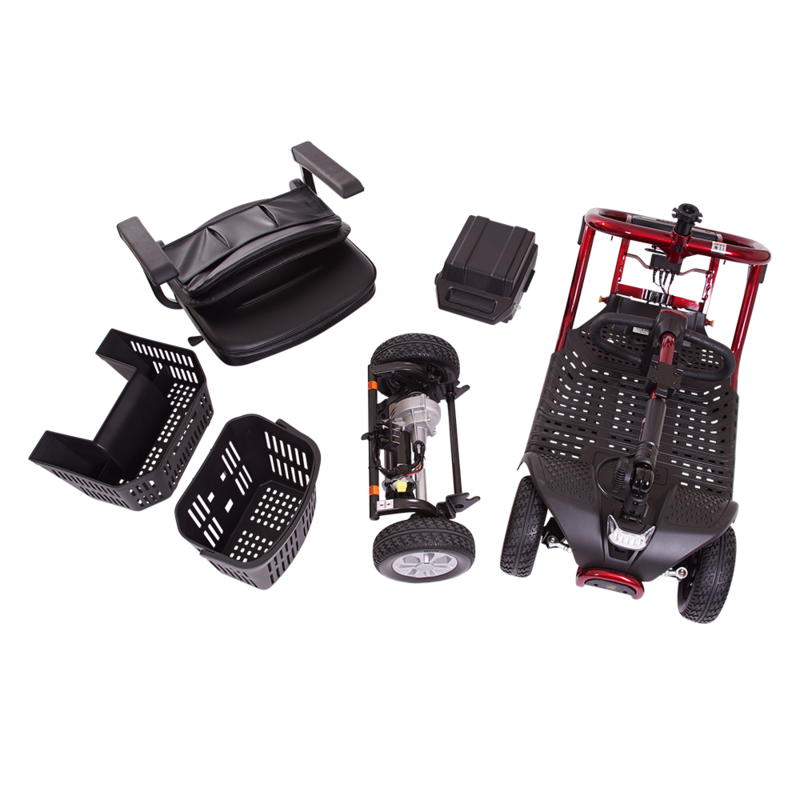 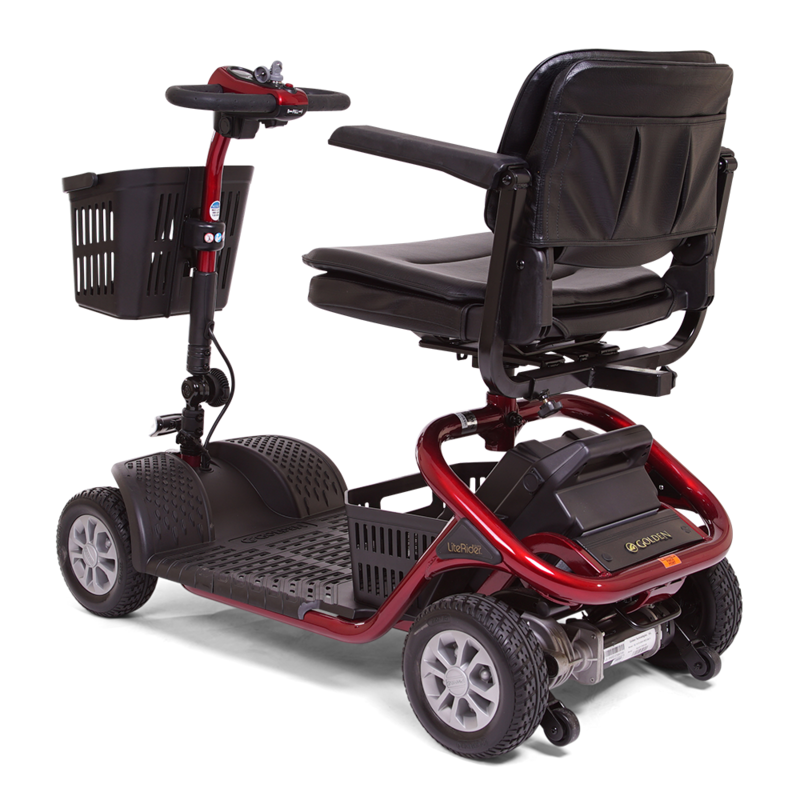 Its plush, deep-black vinyl stadium style seat comes with adjustable armrests and a full 360-degree swivel mechanism for getting on and off the scooter easily. 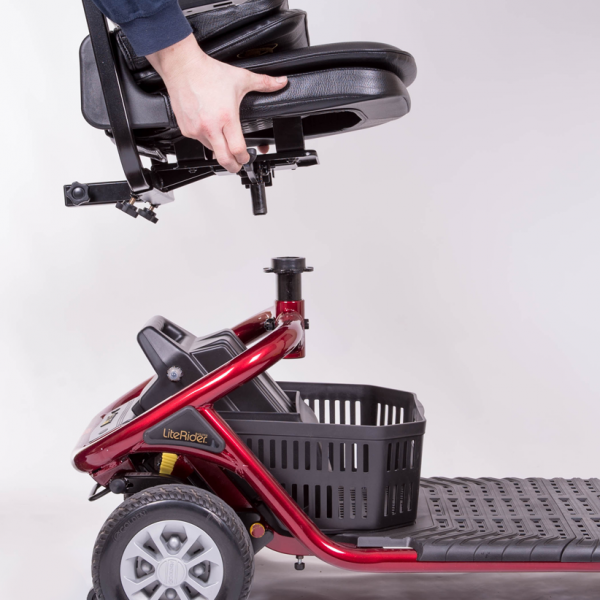 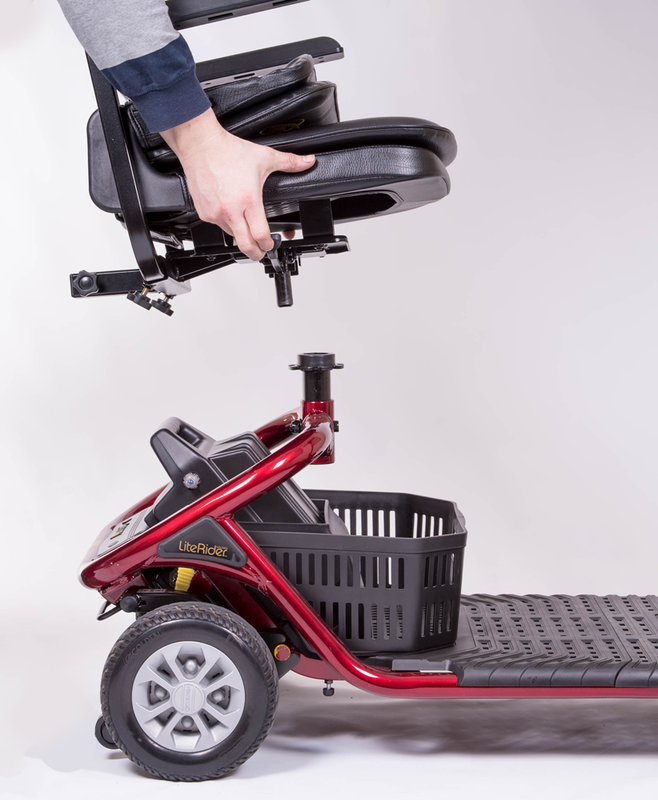 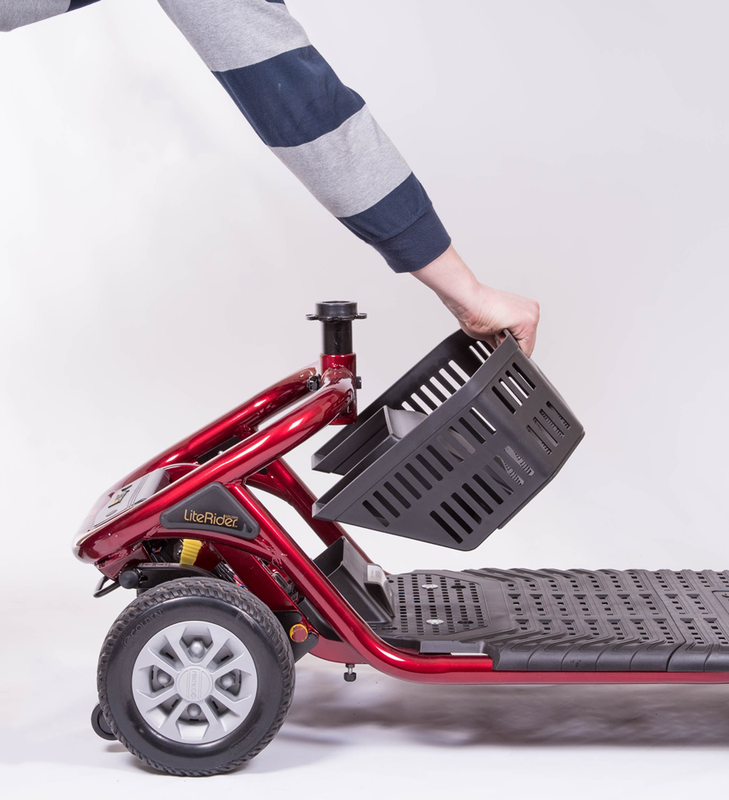 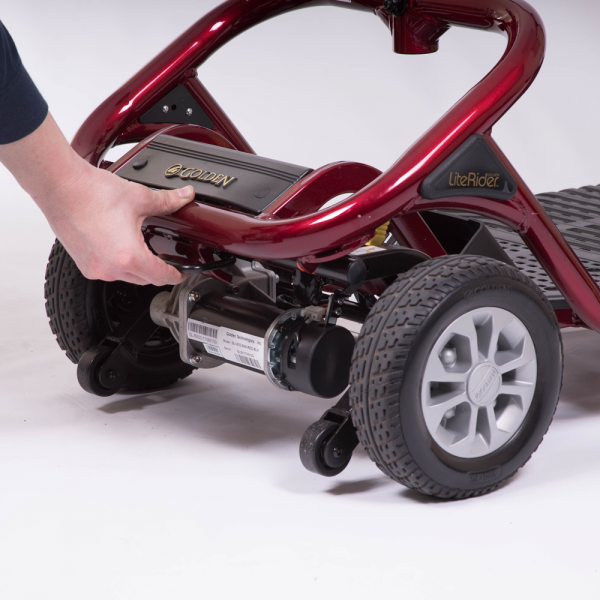 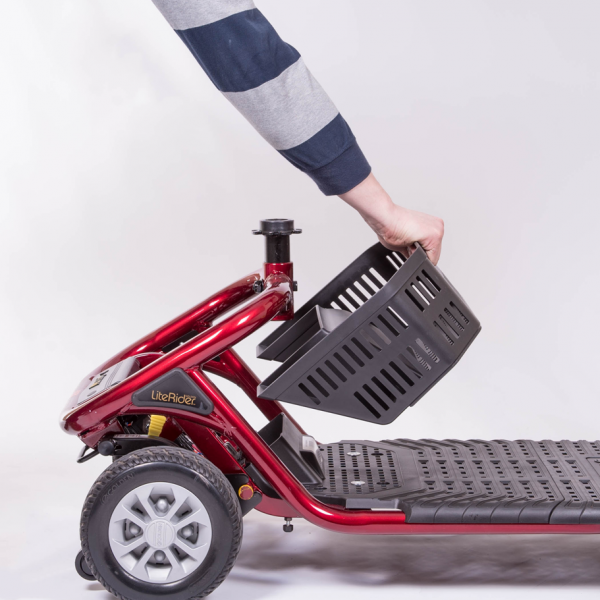 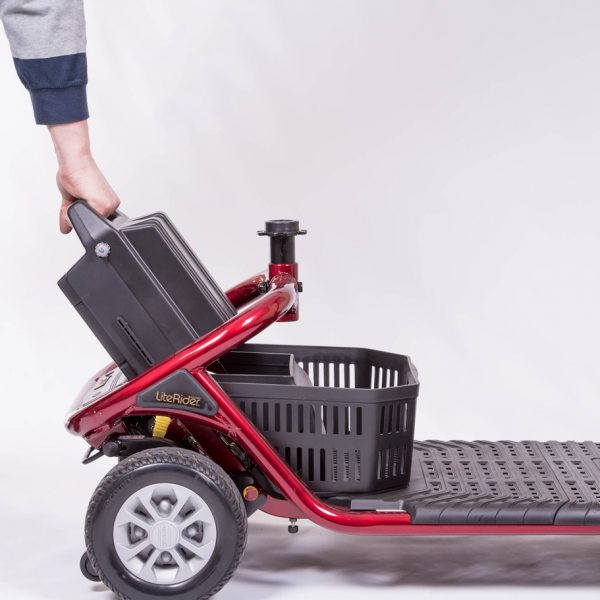 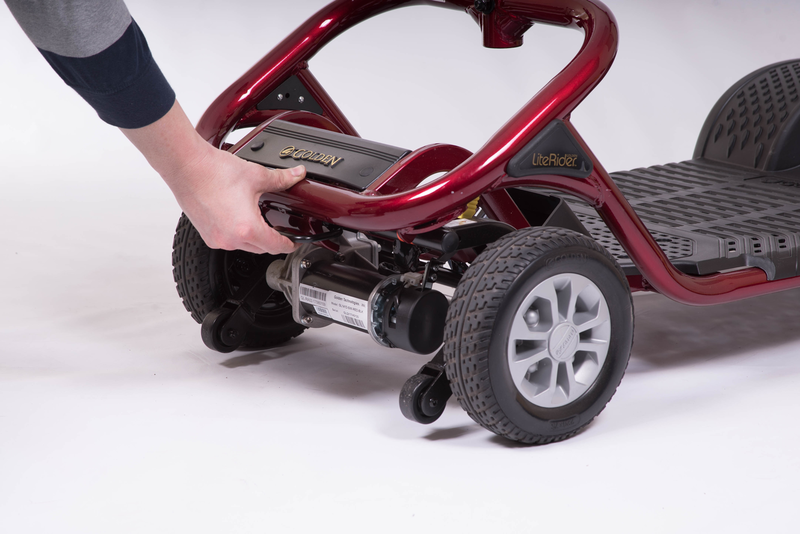 You’ll also enjoy two storage baskets – one on the tiller and one under the seat! 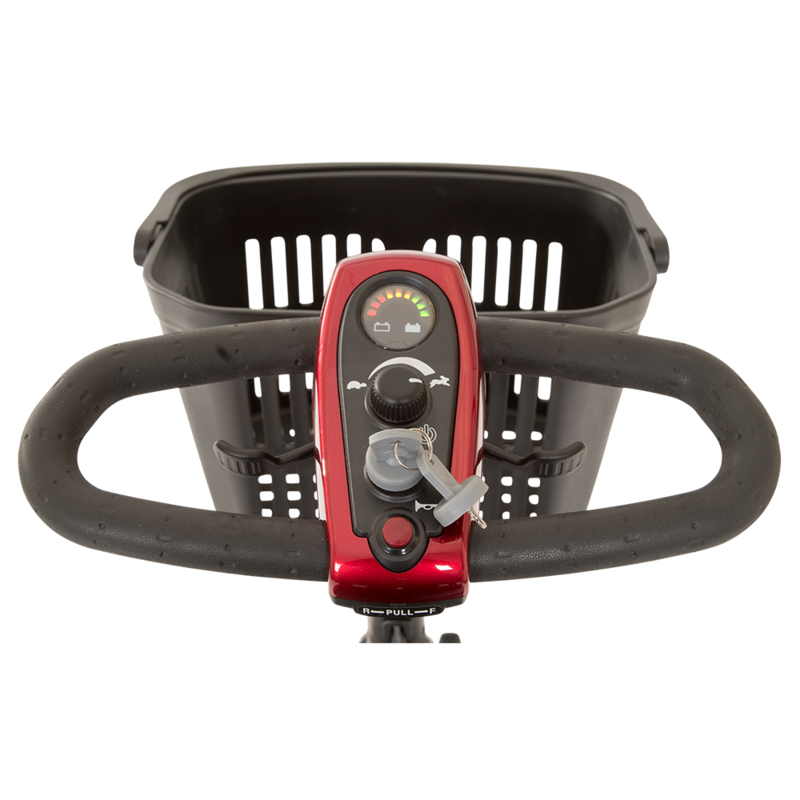 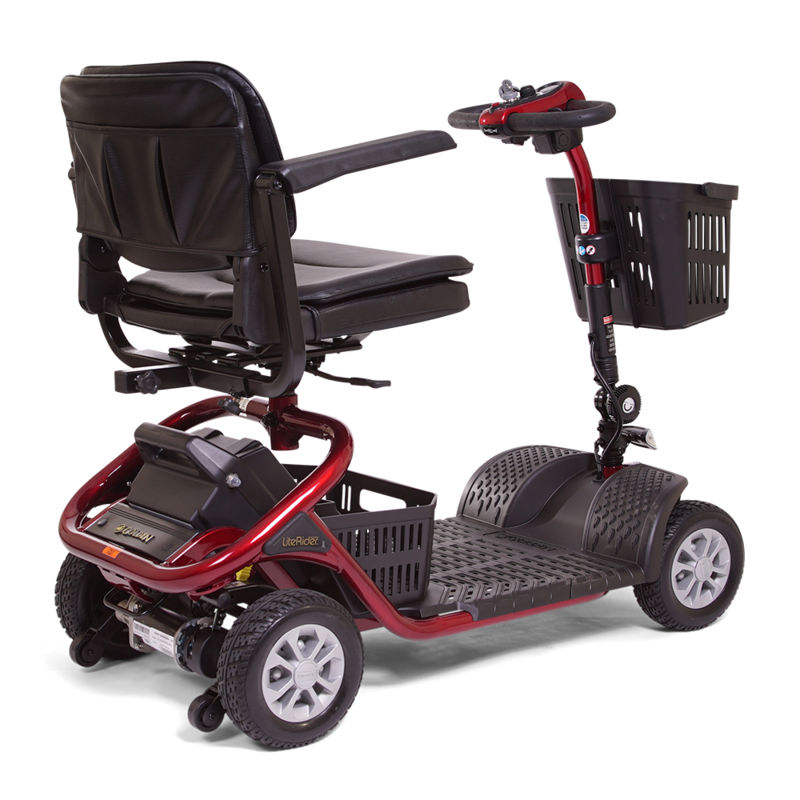 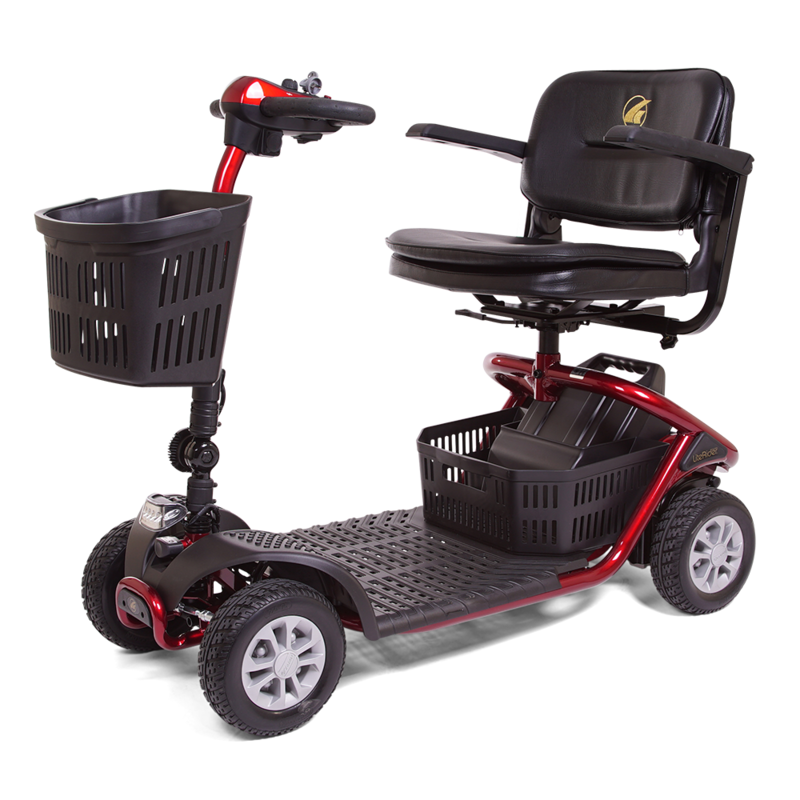 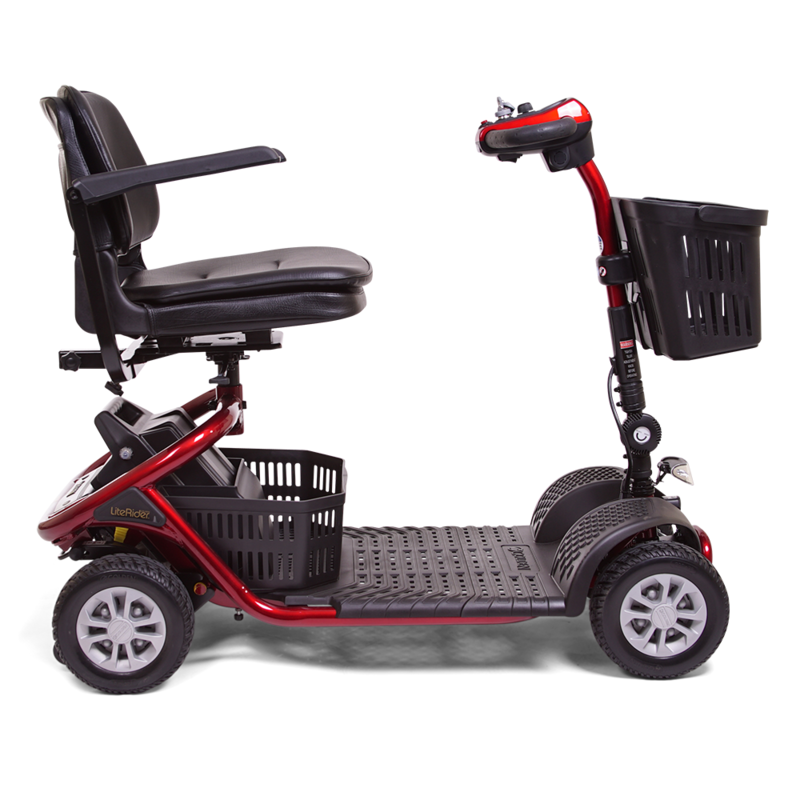 A true beauty, the LiteRider scooter is available in deep shades of red and blue.